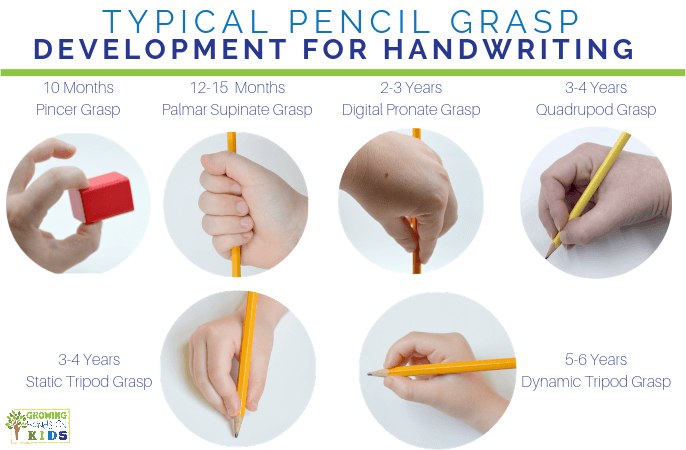 Proper pencil grasp development for writing starts a lot earlier than you think in children. 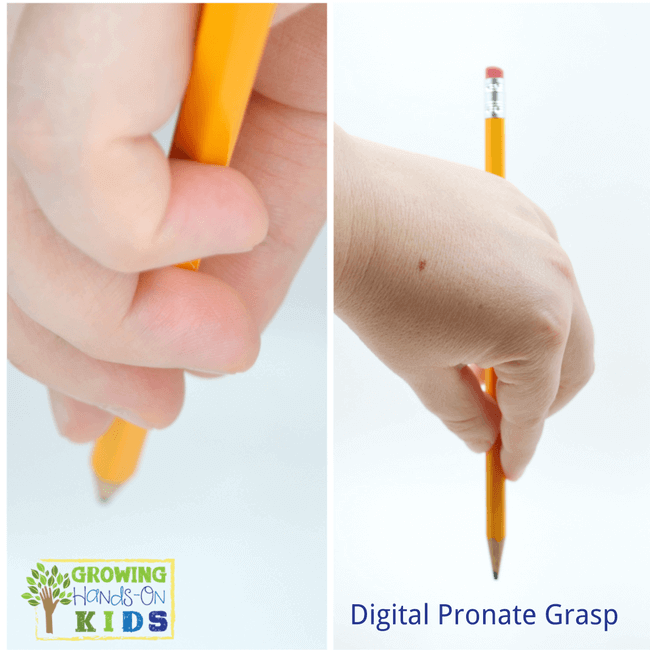 From the time your child starts grasping for objects with their hands, they are developing pencil grasp. 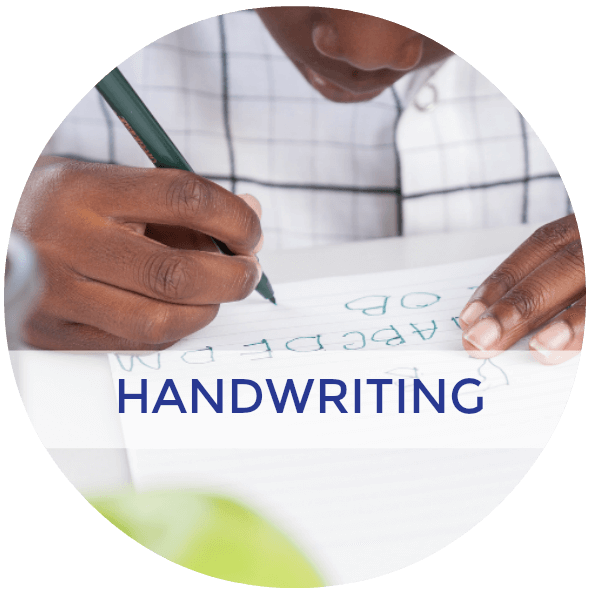 If your child has ever received or been evaluated for Occupational Therapy, this is one thing that the therapist will be looking at when assessing their handwriting skills. This post was last updated September 2017 with updated information on static/dynamic tripod grasps and references. Let's start at the beginning. Again these are average ages ranges, every child is different. 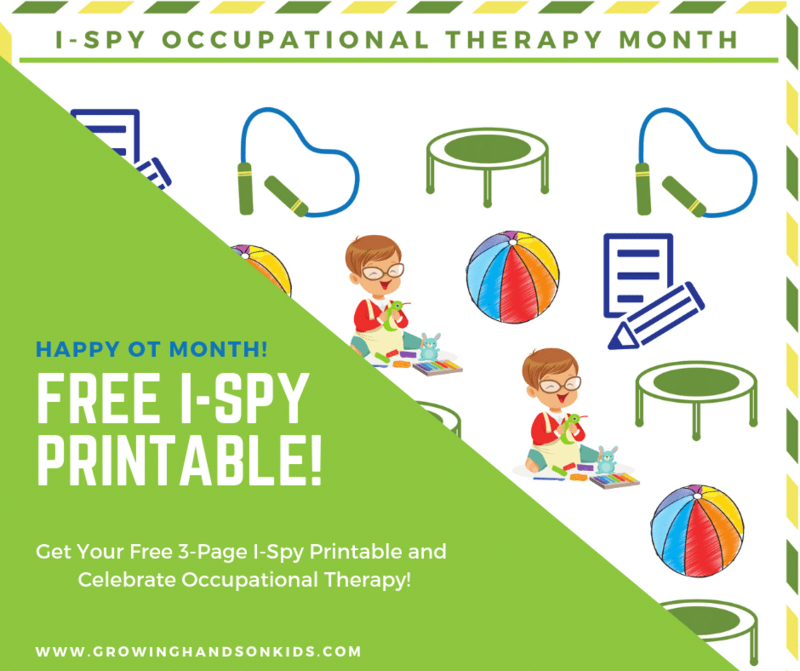 If you do suspect your child is behind in their development, please talk to your pediatrician or consult with your local Occupational Therapist. 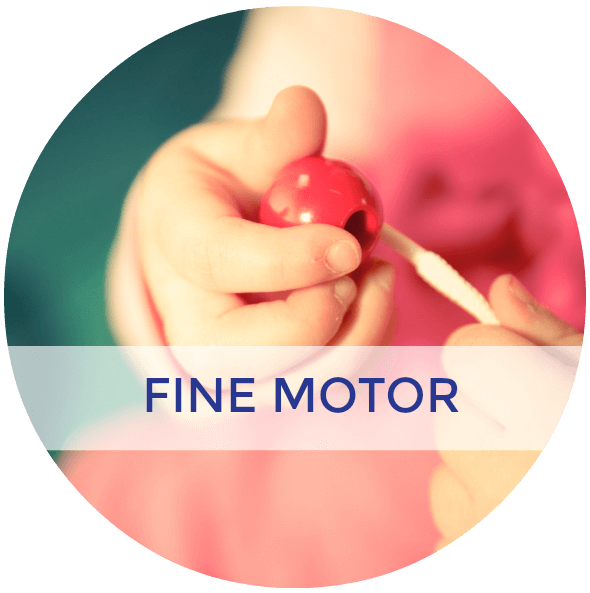 By age 3.9 months your baby should be able to grasp a rattle or other objects. 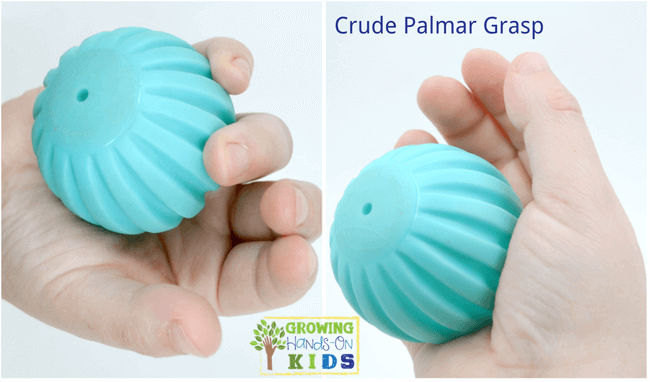 By age 5.2 months they reach for objects with their whole arm using a crude palmar grasp (grabbing at objects with the pinkie side, or palmar side, of their hand. The thumb is not being used at this time. 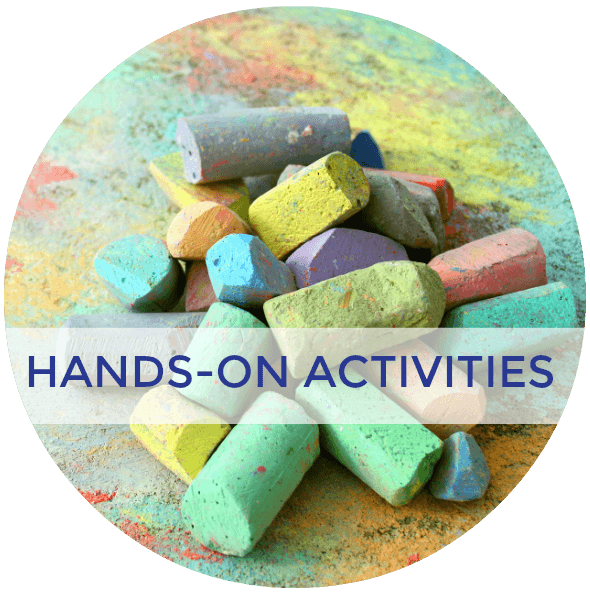 Your child will start using their entire hand to grasp at objects, including some thumb movement. 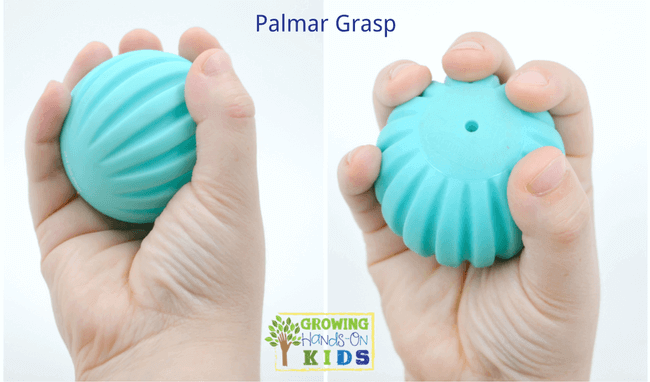 This is called a Palmar Grasp. 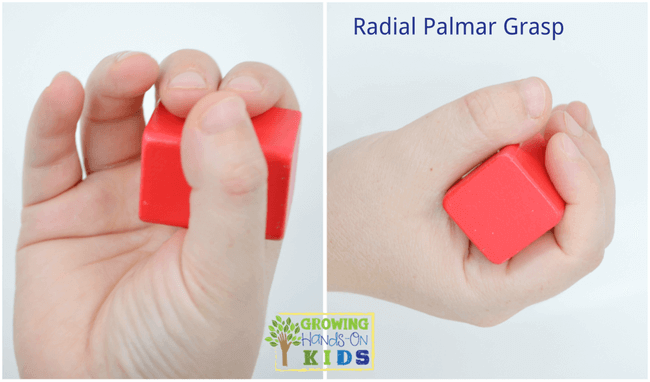 They will begin to involve the thumb and all fingers while using more of the thumb side of their hand to grab objects or using a radial palmar grasp. By 8 months your child will start to use a raking type grasp. This involves bending (or flexing) the fingers to bring objects into the hand and closer to them. 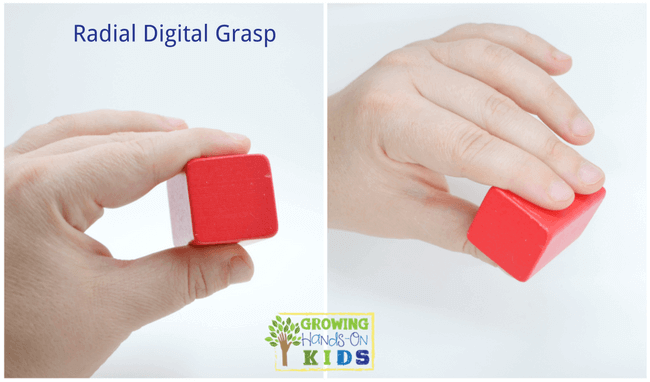 Between 8-10 months old your child will start to perfect the pincer grasp using a Radial Digital Grasp & Inferior Pincer Grasp. A radial grasp refers to the fingers from the middle finger to thumb doing the grasping. As pictured, the child tends to use the pads of their fingers to grasp instead of the tips. By the age of 10.2 months, they should be able to use a thumb-finger grasp (pincer grasp). 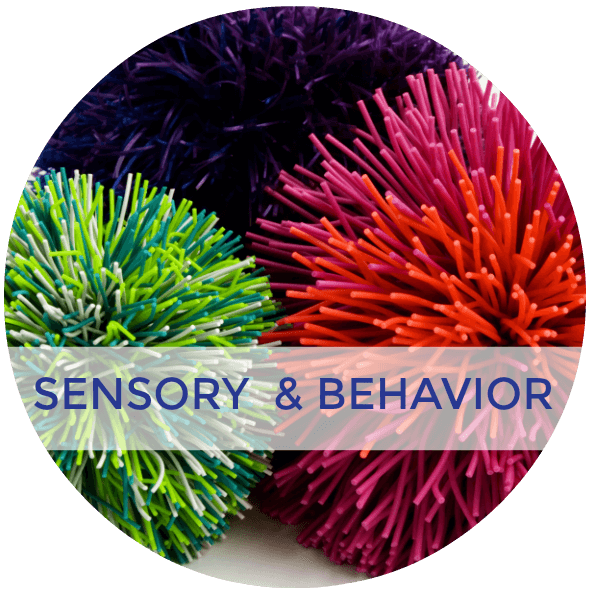 The difference between the Inferior Pincer Grasp and a regular Pincer grasp is all in the placement of the fingertips. The index and thumb are used in for this grasp. If the pads of the fingers are holding the object, that is an Inferior Pincer Grasp. 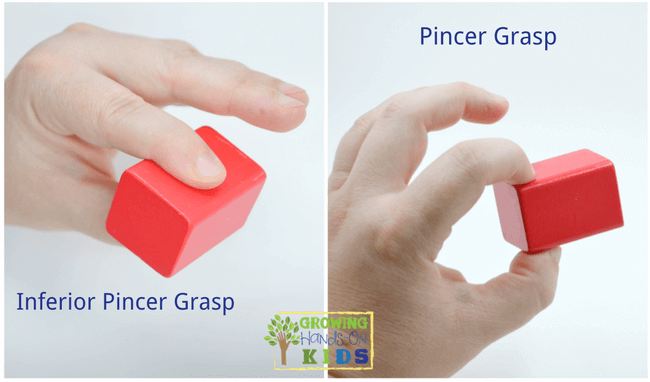 A true pincer grasp is using the tips of the pointer finger and thumb. You may also see this referred to as the “Pincher” grasp, however, the correct spelling is “Pincer”. 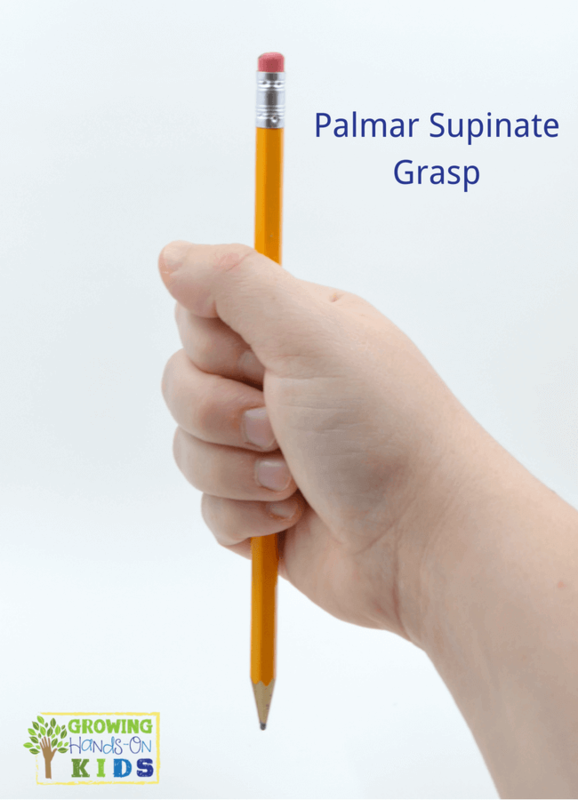 At this age, a young toddler begins use a palmar supinate grasp. 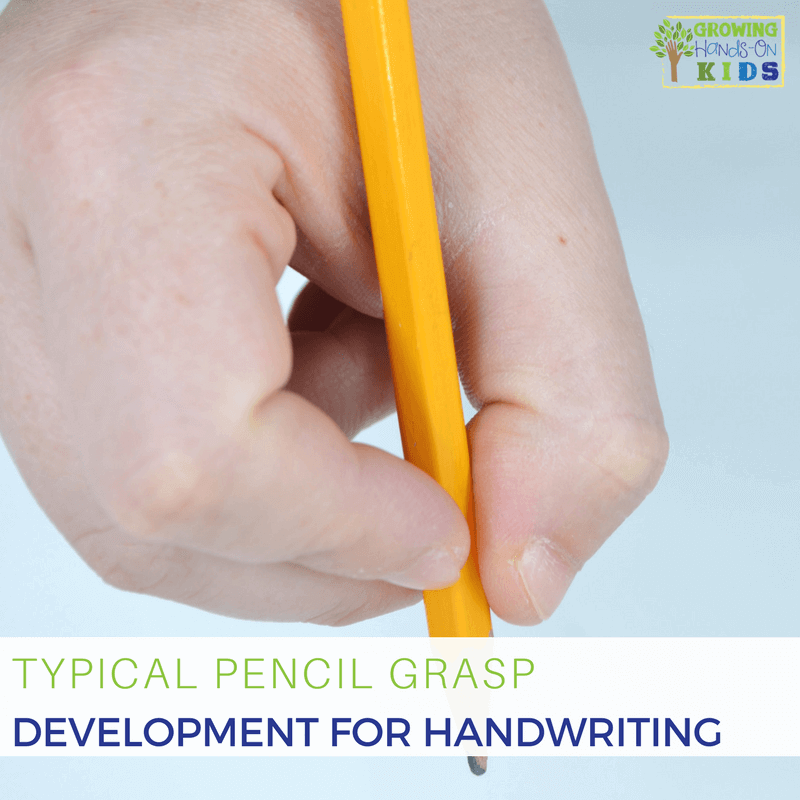 It is a fisted grasp with the thumb wrapped at the top of the writing utensil. This is usually accompanied by scribbling. This is considered a primitive grasp. By 2-3 years old, a child moves to a digital pronate grasp, pictured below. This is the beginning of an efficient looking hand grasp. The fingers are now pointed down towards the bottom of the writing utensil, however, all the fingers are being used along with a lot of whole arm movements. This is also a common grasp for self-feeding with utensils. 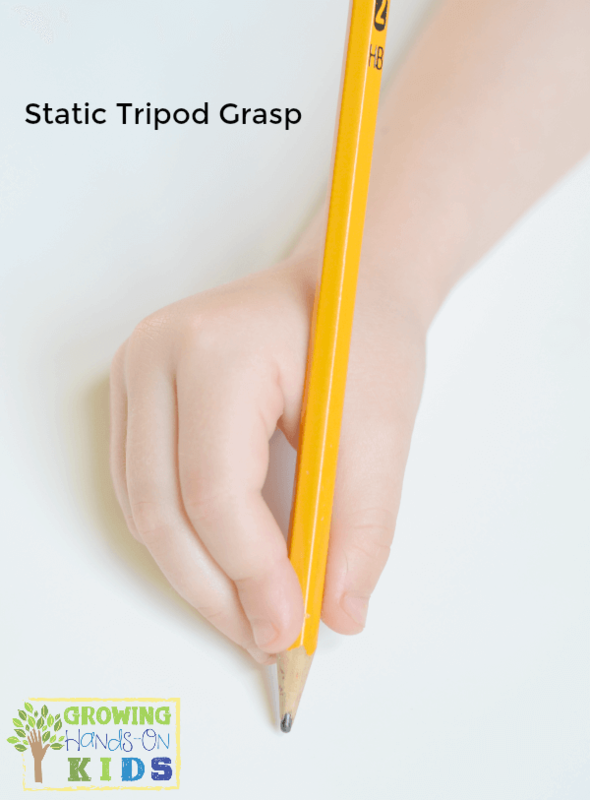 By age 3 to 4 a child will switch to a static tripod grasp or quadrupod grasp. They hold the writing utensils crudely and use the whole pads of their fingers on the writing utensil. There also may still be some wrist and forearm movement to move the pencil, with the fingers not moving, or static. 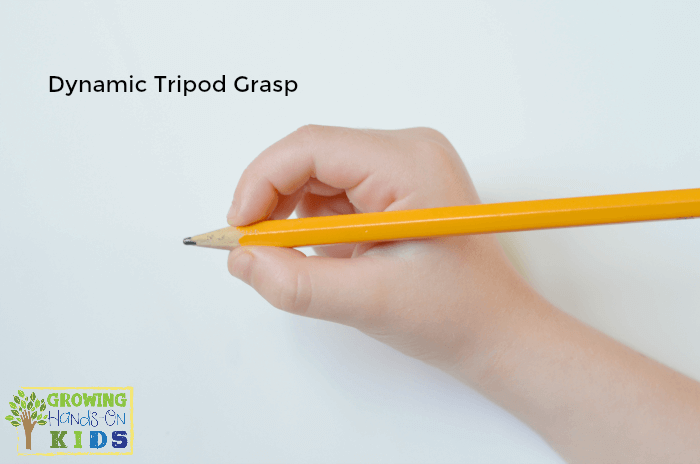 The static tripod grasp is a 3 finger grasp, two fingers pinching the writing utensil and the 3rd (middle) finger tucked to the side of the pencil, forming a tripod. The 4th and 5th fingers are usually static next to these fingers and do not tuck into the palm of the hand yet. 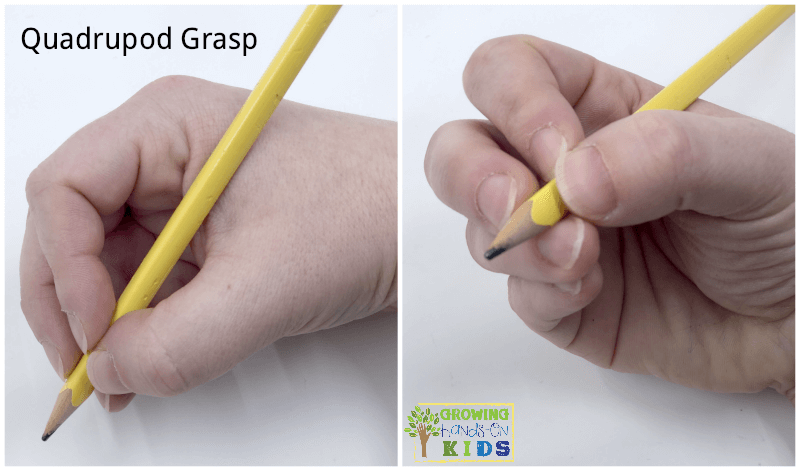 A quadrupod grasp is also referred to as a 4 finger grasp, 3 fingers being on the pencil and then tucked on the 4th finger. It can also be static or dynamic. Dynamic is pictured below. 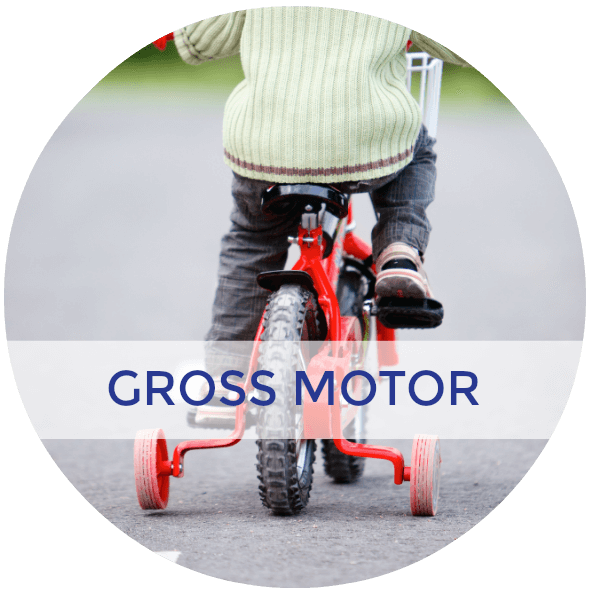 By the time your child hits kindergarten, they will use the most mature grasp, the dynamic tripod/quadruped grasp. 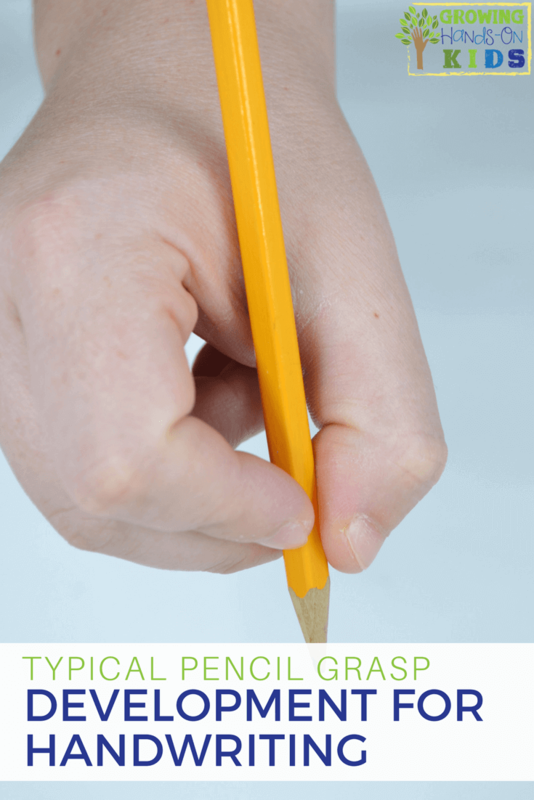 They will use the tips of their fingers on the writing utensil and also hold the crayon/pencil more at an angle than vertical. This is much like an adult grasp. Their finger movements are also dynamic, which means they move back in forth without any forearm or minimal wrist movement (the arm will be resting on the table or writing surface instead of floating above). This grasp is also referred to as a 3-finger grasp, the first 2 fingers on the pencil while resting on the middle finger. The 4th and 5th fingers are tucked into the palm of the hand and help to stabilize the hand on the table. For a while, the tripod grasp was the only mature grasp to be considered an efficient grasp past the age of Kindergarten. However, an exception was made for the quadruped grasp since so many people and children use that type of grasp (myself included) and are able to print neatly and at a decent writing speed. I always encourage a mature dynamic tripod grasp when working with my students, however, if they used a quadruped grasp consistently and are able to produce legible work and good letter formations when writing I consider their handwriting/pencil grasp goals met. 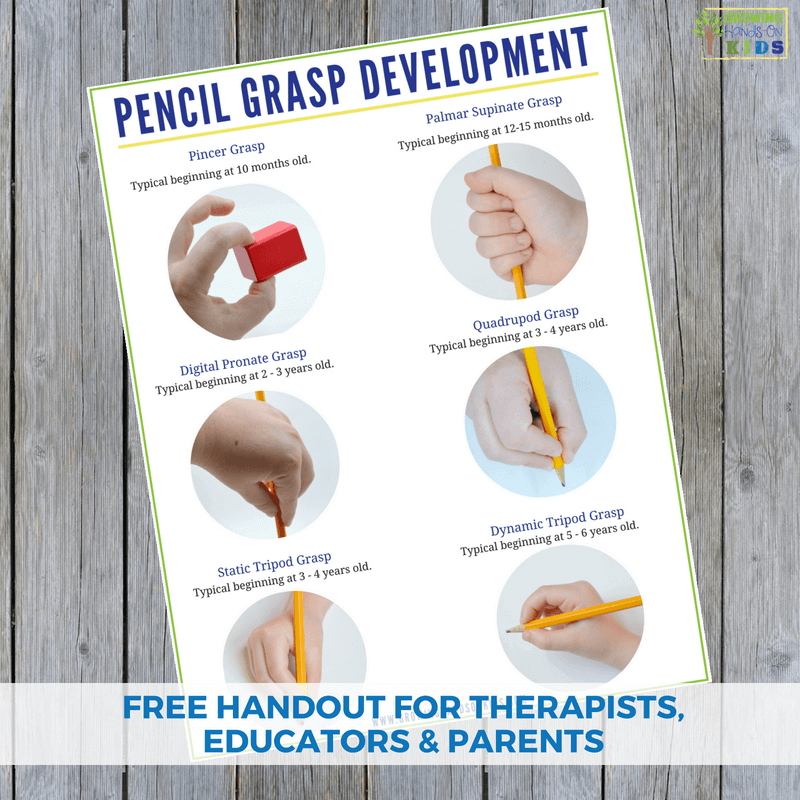 Be sure to talk to your child's therapist to see what type of pencil grasp they will be looking for in order to consider that goal met if your child has a pencil grasp goal in Occupational Therapy. Again, these are average ages ranges and every child is different. However, this gives you a good idea of what to look for as your child starts to explore the wonderful world of writing. 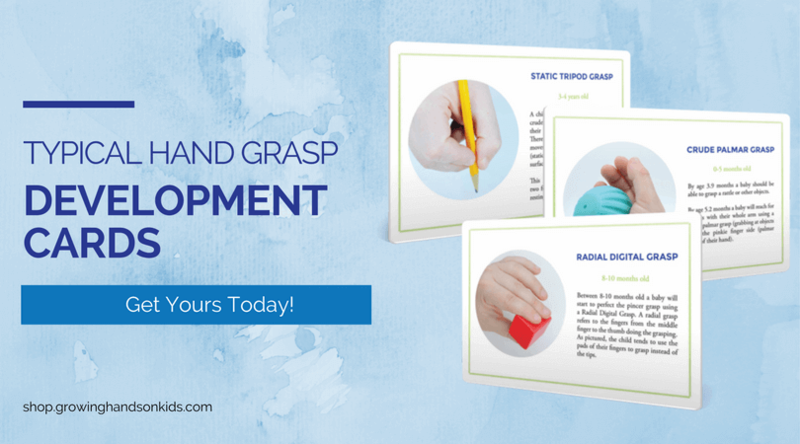 If you would like to get printable cards of all these hand grasps, complete with descriptions and photos, you can check out my hand grasp development cards here. There is a digital and printed version available. 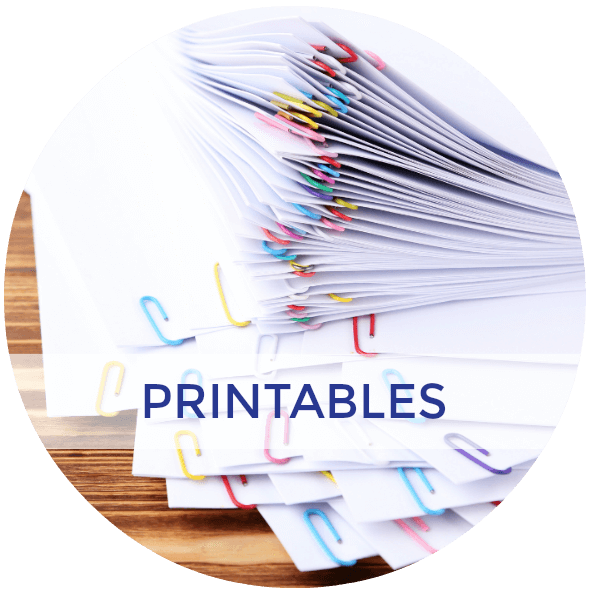 They are great to have on hand in your classroom as you evaluate students. Or in your home or therapy sessions as a handy resource and reminder. 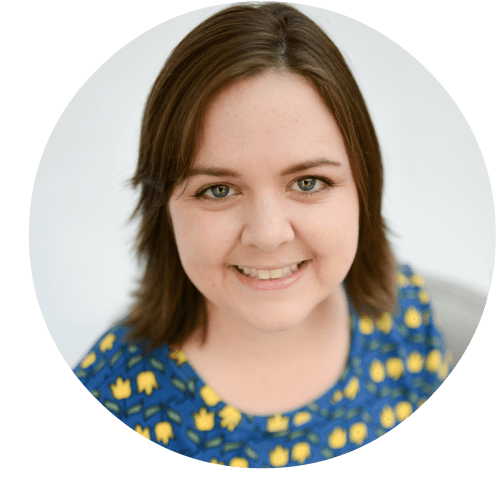 “Pencil Grip – A Descriptive Model and Four Empirical Studies.” – Ann-Sofie Selin, Masters in special education. For more handwriting tips like this one, check out my Handwriting Pinterest board below. 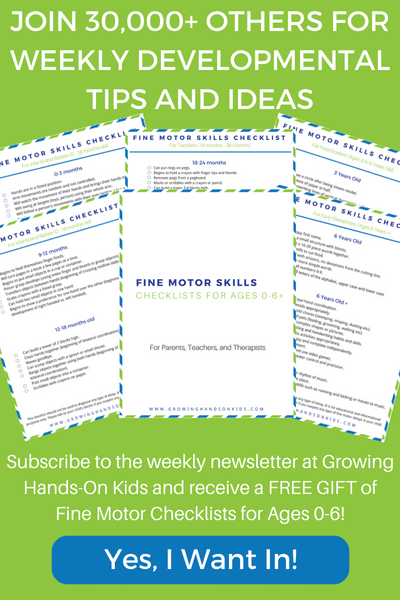 Which Fine Motor Skills are Important for Handwriting?